My daughter's favourite time of the day is bed time, not because she loves to go to sleep, but because she really looks forward to sitting on my lap to get ready for story time. It's something that we have always done together and now that she's learning to read it time to introduce some classics. We are more than familiar with Beatrix Potter so now it time to introduce the little lady to another great storyteller of our time. Roald Dahl. The BFG, Matilda and Willy Wonka are some of the best loved characters in children's literature. I remember reading these book as a child and getting lost in the adventures, there aren't many of us who can honestly say that they haven't read a Roald Dahl book. 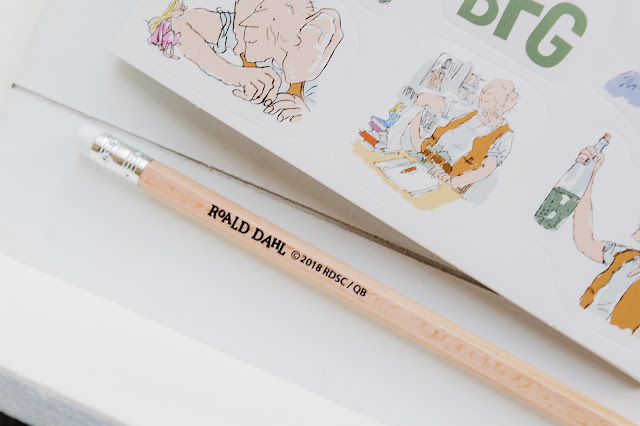 So many people love Roald Dahl for his style of writing, speaking to children as worldly and aware and offering them stories in which children triumph over the villainous adults. The dark humour that Roald Dahl characters often find themselves in were unusual in children’s books before he came along and are not always so easy to get right, but not for Roald Dahl, he perfects it! So we have decided to welcome our daughter into the wonderful world of Roald Dahl and introduce some of the classics. We have even been watching some of the films, last week we watched the new version of BFG and my daughter loves it. It's such a great film. Now she loves anything to do with the BFG. Who doesn't like the BFG though? You may remember during the Christmas craziness that we had a few gift guides floating about that were jam packed full of ideas for little ones. We featured this cute Roald Dahl stationary set and it went down so well with the little lady that I decided to go into a little more detail about the set. 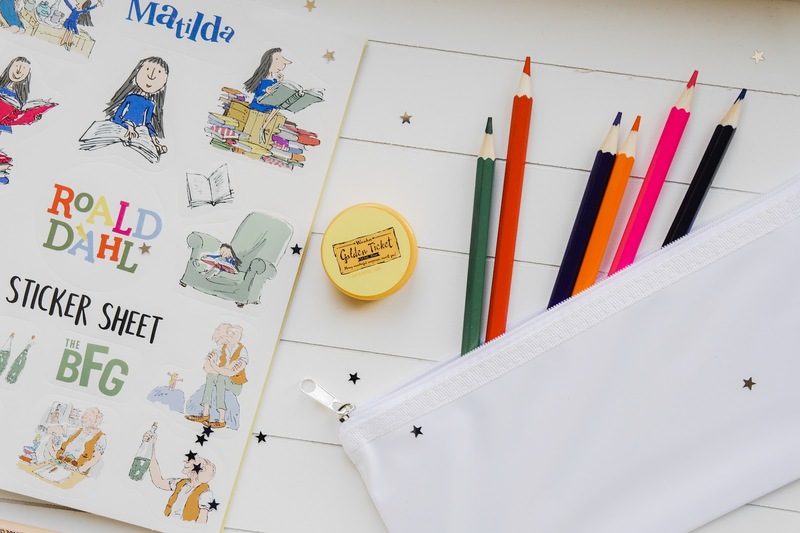 This lovely stationery set, featuring popular Roald Dahl characters, is perfect for a new term at school or at home. Ever since the little lady opened this on Christmas morning she has taken it everywhere, she even packed it into her school bag ready to show her teachers and friends. The set contains the high quality products from Helix Stationery and includes a pencil sharpener with shavings holder and safety screw; six coloured pencils; two eraser tipped HB graphite pencils; a white pencil case with doubled stitched seams and durable zip; a drawing book and sticker sheet. 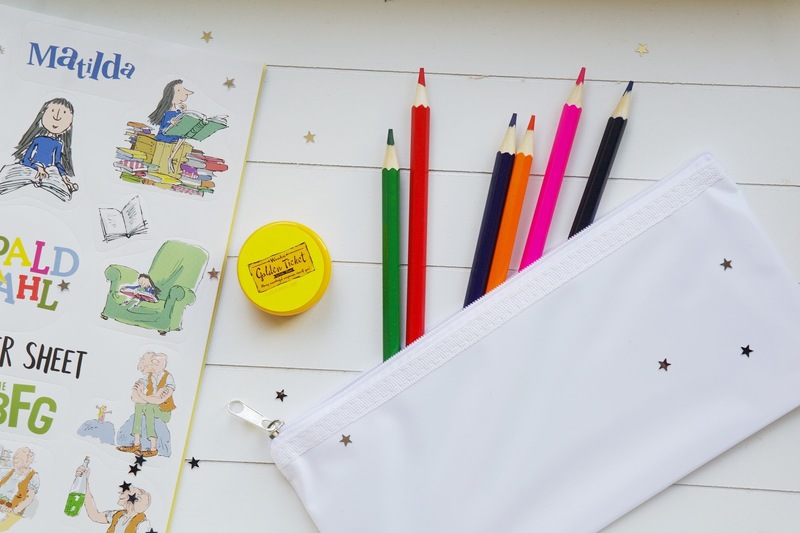 The stickers can be used to personalise the drawing book as well as the pencil case , which is a lovely idea. The set features, of course, Quentin Blake’s iconic illustrations, making the set a delight for all Roald Dahl fans. Never one to shy away for a little creativity, my little lady got straight to it and used the stickers to personalise her new pencil case and book. However, as much as she loved putting stickers on the book when it came to the pencil case they would stick so well. And when she tried to put her pencils in their new case, the would always leave marks on the inside as she pulled them in and out. 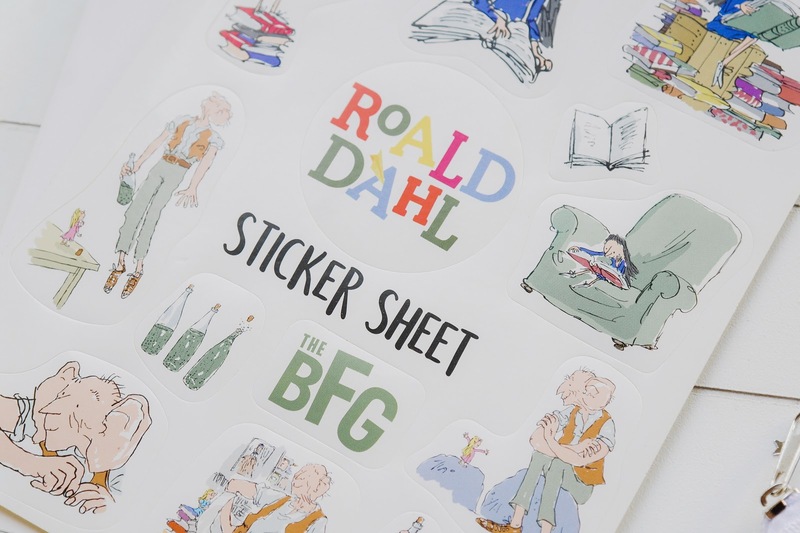 But other than that, it's a cute set that is perfect for any budding Roald Dahl fan. So what's your favourite Roald Dahl Book? My favourites are Matilda and George's Marvellous Medicine. If you like me? Why don't you pin me! 3 comments on "Introducing Roald Dahl and the Magic"